“Land ho!” shouts a redheaded boy, finger pointing over the guardrail of the ferryboat’s upper deck. His mother holds onto him with a handful of T-shirt as the 90-ton ferry churns toward the dock at Detroit Harbor. 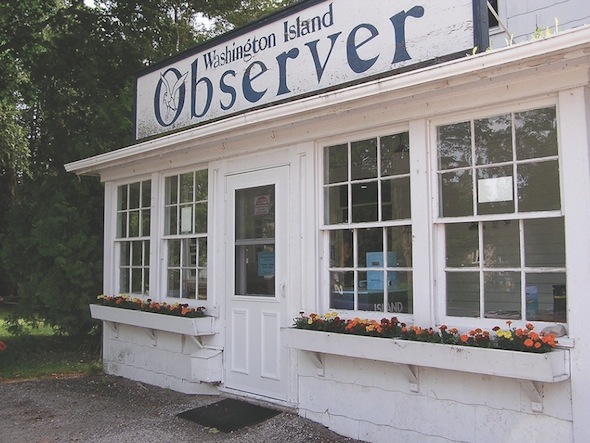 The family will spend a typical June day on Washington Island: skipping stones, eating cheese curds, and passing by the wooden storefront on Main Road with the hand-painted Washington Island Observer sign. A few miles east of the ferry dock, the Observer’s editorial board gathers in the chairwoman’s family room. Tall picture windows overlook a rugged Lake Michigan shore. With coffee and lemon scones on the kitchen counter, it feels like a chatty book club until the group launches into earnest debate on a range of touchy questions: Should the paper report on an islander charged with sexual assault? Review local plays when cast members are neighbors? Respond to impassioned bird watchers who insist that “robin” and “cardinal” are proper nouns, AP style be damned? The board members’ résumés are diverse and include the owner of the ferry line, a French teacher from Princeton, NJ, and a retired nasa engineer. But everyone in the room has one thing in common: no journalism experience. Most have summer homes on the island. They agree the weekly paper is an essential, if tattered, piece of the local fabric. “We have a strong belief that community newspapers are still a very good way to disseminate the news,” says Marsha Williams, the Observer’s treasurer, who has held top financial posts at Orbitz and Crate & Barrel in Chicago. The 27 families that pitched in nearly $60,000 to buy the Observer (and cover three part-time staffers and first-year expenses), are getting a crash-course in journalism; and not just any journalism—small-town journalism, which, as the new owners are learning, can be a funny and frustrating thing. They had clear goals when they closed the deal 18 months ago: preserve the newspaper’s homespun vibe, but also report on threats to the island’s fragile economy, its overburdened town government, and its shrinking school; with 60 students K-12, Washington Island is Wisconsin’s smallest school district. The experiment’s catalyst is 73-year-old Lucia Petrie. Casually stylish and politely blunt, Petrie is known for raising big money. She helped lead a $100-million campaign for the soaring Milwaukee Art Museum addition, designed by Spanish architect Santiago Calatrava. The museum is now a progressive symbol of possibility in a city working to shed its rust-belt image. Today, Petrie is president of Washington Island Community News LLC, and its door-to-door ad saleswoman. Pete oversees the business side. They did not need years of journalism experience to understand the challenges: boost circulation, attract new advertisers, and earn the trust of 700 year-round residents who brave the frozen quiet in winter—the “real islanders” who often roll their eyes at big-city ideas. Washington Island is far from city life in both miles and mindset—“above the tension line,” as boosters like to say. On a map of the Midwest, it is a 35-square-mile dot in the expanse of the Great Lakes. The drive to the tip of Door County leads travelers through a hilly peninsula of cherry tree orchards and idyllic harbor towns overlooking Lake Michigan to the east, and the Bay of Green Bay to the west. At the tip, choppy waters converge in a dicey passage called Death’s Door for its toll on the wooden ships of yesteryear. The ticket booth for the Washington Island Ferry Line is five-and-a-half hours north of Chicago, but in high season vehicles with New York and California license plates line up to board, joining bicyclists and wanderers for the half-hour boat ride. The island population swells to nearly 3,000 in summer. 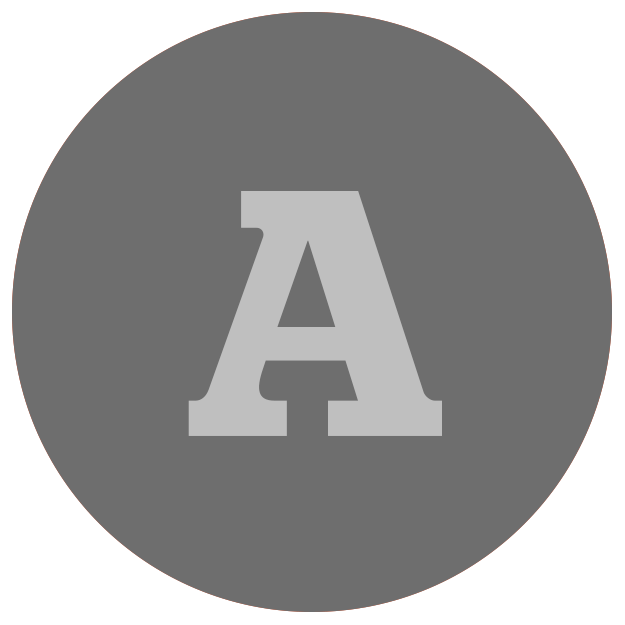 Visitors are charmed by the simplicity of the place: rustic resorts, evening fish boils, and The Albatross Drive-In. There are no fast-food chains, no water slides, and no gaudy T-shirt shops. Cellphone and Internet service are spotty. The island was home to Potawatomi Indians until Scandinavian fishermen and farmers arrived in the mid-1800s. The news void that developed during the Observer’s “cozy” years was often filled by famously virile island rumors: who got mad at the town board meeting; whose daughter got engaged over the weekend; and on and on. “A fart on one side becomes a tornado by the time it gets to the other side of the island,” says 36-year-old Town Chairman Joel Gunnlaugsson. The fourth-generation islander is a ferryboat captain with a diamond stud earring and Icelandic blue eyes that are as common as wildflowers on Washington Island. Splendid isolation means the town provides services usually handled by a city or county: police, fire, road maintenance, garbage, utilities. So the “tornadoes” become Gunnlaugsson’s problem. “When all hell breaks loose, unfortunately, everybody calls me,” he says. So far, Observer articles have reflected this cautious sensibility. Marik opted for a just-the-facts approach to town business, reporting on agenda items, discussions, and votes. But she also tackled some important stories that were unlikely to offend, such as a comparison of island hotel rates, the record-low Great Lakes water levels, and the US Department of Agriculture’s decision to kill invasive, non-native swans on the island. The owners recruited dozens of volunteers to write about the Washington Island Music Festival, the Death’s Door Barbecue, and the Lion’s Club Ice Fishing Derby. Pictures of islanders posing with 20-pound salmon are still standard fare in the Observer, but the owners have tried to ratchet up the journalistic scrutiny on some difficult issues, such as the plight of the Washington Island School. With 10 graduates, the class of 2013 was unusually large; there are four seniors in the class of 2014. As young families leave the island for schools with more academic and extracurricular programs, the district loses funding and becomes a bit more vulnerable. The conflict is about more than seasonal demand for goat cheese and copies of The New York Times. Summer residents, including the new Observer owners, tend to support economic development initiatives that could attract more tourists to the island but also require substantial investment. A development plan for Detroit Harbor, the aging gateway to Washington Island, is a case in point. In addition to dock upgrades, a consultant’s master plan calls for an inviting visitors center and marina, canoe and kayak launches, and multi-use trails linking the harbor to Main Road businesses. The next step in the Detroit Harbor plan is for the town to seek state and federal funding. Marik intends to keep covering the story, and she resigned from the Parks Committee, which required her to voice an opinion on the harbor plan. After settling into the role of reporter, she no longer was comfortable working for the government. “I feel more free to cover stories on the island,” Marik says. When Shereikis biked to School House Beach, he passed the town cemetery, with its hodgepodge of tributes surrounding the graves of beloved islanders. Birdhouses and lighthouses decorate headstones engraved with fishing poles and vintage cars. Clusters of daisies and daylilies crowd the headstones. Island native Sherry Young visits the cemetery often to tend her family’s graves. She worked with Lorel Gordon on the original Observer in the 1980s, when they ran off copies in the office of the Bethel Church. 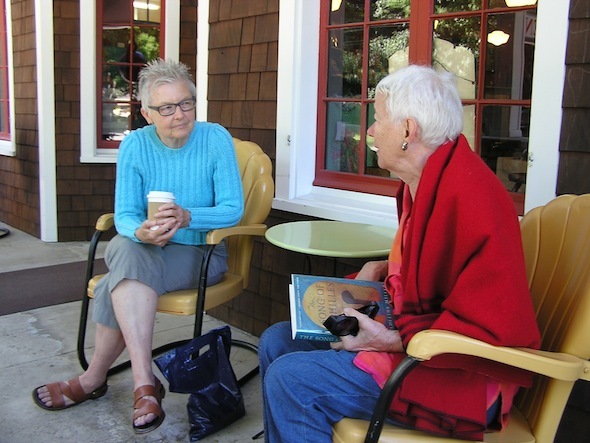 Listen to an audio report of Jane Hampden talking with year-round residents and summer people of Washington Island about the power of local journalism.